As part of their plan to repeal and replace the Affordable Care Act, the Trump administration and congressional Republicans say they will take rapid steps to stabilize the individual health insurance market and roll back onerous ACA rules though executive branch actions. But legal experts say they'll be constrained in revising or eliminating these regulations by the formal rulemaking process, which can take months. Now conservative legal activists are pushing Republicans to make unprecedented use of a 1996 law they claim would allow the Congress to swiftly ax ACA-related and other rules issued over the entire length of the Obama administration. Experts say it's very possible congressional GOP leaders may try this, but that this approach is legally untested and would be politically explosive. The Congressional Review Act, passed by Republicans in 1996 as part of their “Contract with America,” enables Congress to overrule regulations issued by the executive branch through straight-majority votes in the House and Senate. 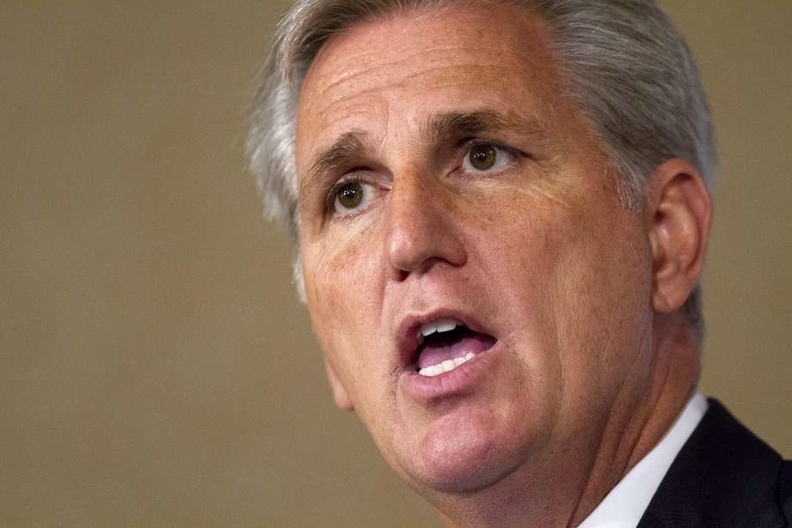 Though it's been seldom employed in the past, House Majority Leader Kevin McCarthy promised last week to use the law to start repealing specific Obama administration regulations finalized in the previous 60 legislative days, which goes back to last June. McCarthy also said last week that he and his GOP colleagues would pursue ACA repeal and replacement on three simultaneous tracks – an expedited budget reconciliation bill that can be passed on a straight party-line vote; executive actions by the Trump administration to restructure insurance markets; and a series of regular bills to replace the ACA that will need some Democratic support. Congressional repeal of Obamacare regulations using the Congressional Review Act theoretically could accompany the administration's executive actions. The problem with the executive action approach, experts say, is the legal authority to change ACA rules through quick administrative moves is limited. Many provisions Republicans want to change – such as tax penalties for people who don't buy insurance and requirements for insurers to cover a minimum essential-benefits package – are prescribed in the ACA statute and can't be revised or reversed without new legislation. And most of those provisions were implemented through formal rulemaking. To change ACA rules, the Trump administration would have to go through the rulemaking process laid out by the Administrative Procedure Act, which requires issuing a proposed rule change, receiving and considering public comments, then issuing a final rule. Short of new legislation, that's probably how the administration would have to address insurance market issues such as tightening special enrollment periods and shortening benefit grace periods for people who haven't paid premiums. “They could probably muscle something through in a year or so,” said Tom Miller, a conservative healthcare policy expert at the American Enterprise Institute. But attorneys at the conservative Pacific Legal Foundation and Heritage Foundation argue that congressional Republicans can do this much faster by using the Congressional Review Act. And they believe that Congress can uproot rules implementing the ACA and other laws going back much further than 60 legislative days. They note that the Congressional Review Act requires federal agencies that issue a rule to submit a report to Congress, and that the law's 60-day clock only starts when the rule is published or Congress receives the report, whichever comes later. A Wall Street Journal column Thursday by conservative writer Kimberley Strassel laying out this argument claims there are Obama administration rules for which no report was submitted to Congress – and therefore Congress is free to nix those rules. In Strassel's desired scenario, the Trump administration would order federal agencies to make a list of all regulations or so-called guidances issued without a legislative report. Then the administration would submit reports to Congress on rules Republicans want to repeal, and Congress would set aside one day a month to hold votes to repeal those rules. Two legal experts, however, told me that federal agencies during the Obama administration almost certainly filed reports to Congress on key rules implementing the ACA and other laws. “I don't know the count, but a substantial number of regulations did have a legislative report,” Gerson said. William Schultz, who served as HHS general counsel from March 2011 through June 2016, said HHS submitted regular and timely reports to Congress to accompany new rules during his tenure. On the other hand, there were many guidances issued by HHS and other federal agencies under the Obama administration and previous administrations that did not go through the formal rulemaking process and were not accompanied by reports to Congress. Experts say the Trump administration could readily revise or repeal those guidances without going through rulemaking. So it wouldn't be necessary for Congress to use its Congressional Review Act authority. The Obama administration used guidances to implement some limited parts of the ACA, such as those that define which preventive health services for women insurers must cover on a first-dollar basis. That includes all 18 forms of contraception approved by the Food and Drug Administration. It's expected that the Trump administration will quickly move to repeal that controversial guidance. But it's unlikely Republicans could roll back major pieces of the ACA just by targeting guidances. If Republicans do identify major ACA rules lacking legislative reports and then decide to repeal them using the provisions of the Congressional Review Act, it would raise numerous political, constitutional and administrative issues, Gerson said. For one thing, it's not clear the Trump administration would want to see its own rulemaking authority eroded. “I don't think anybody, least of all the proponents of this theory, have really thought it through to the end,” he added.